NO ONWARD CHAIN. 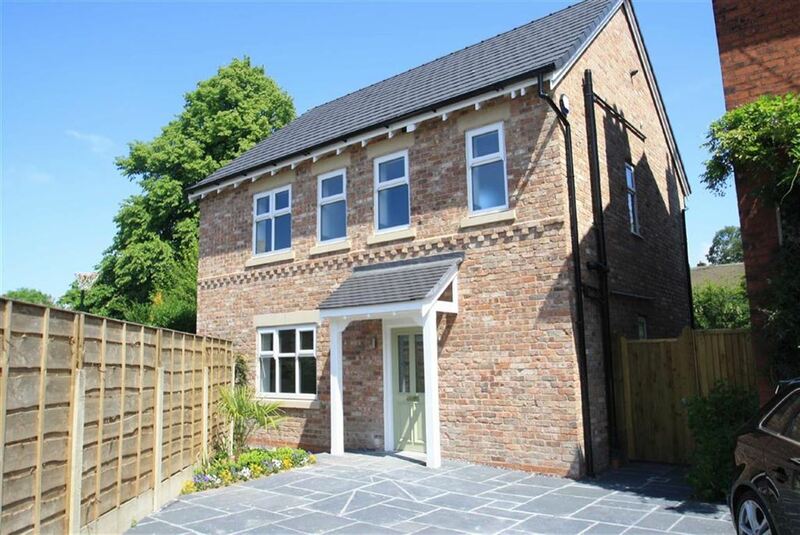 Situated in a desirable cul dec sac location to the South of Wilmslow, this attractive NEW BUILD detached property enjoys three bedrooms and two bathrooms. Fittings within the property are to a high specification, including a TRU KITCHEN, BAGNO DESIGN BATHROOMS and Karndene flooring to the bathrooms. 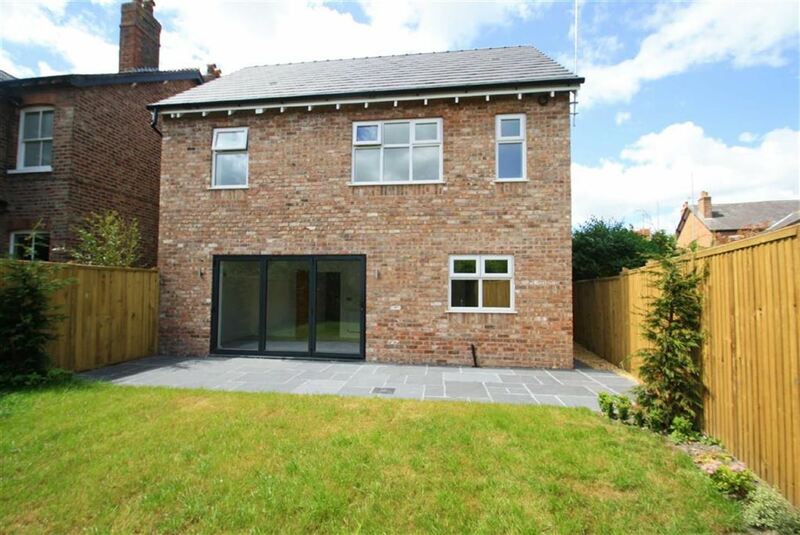 The property is within convenient reach of local schools, recreational playing fields and central Wilmslow alike. The accommodation comprises in brief: entrance hallway, downstairs W.C., living room, beautiful open plan kitchen/diner with bi-folding doors to the rear. The first floor comprises: master bedroom with en-suite shower room, two further well proportioned bedrooms and a bathroom. The property also benefits from a good size loft room with further separate storage/potential utility room. To the front there is a driveway and to the rear there is an enclosed garden. DIRECTIONS From our Wilmslow office proceed in a northerly direction along Alderley Road (A34) to the Kings Arms roundabout. Take the Knutsford Road exit and turn first right into Gravel Lane, and Princess Road will be found on the right hand side. Entrance Hall Attractive front door with inset bevelled glass panels, security alarm, radiator, stairs to first floor, inset spotlights. Door to downstairs wc. Downstairs WC Low level wc with concealed cistern, ladder style heated towel rail, tiled splashbacks, fitted contemporary wash hand basin with storage under, frosted uPVC double glazed window to side, extractor fan. Living Room 15&apos;6 x 10&apos;11 4.72m x 3.33m UPVC double glazed window to front, radiator, recessed spotlights, wall mounted HDMI and television aerial connections. Kitchen Area Fitted with a range of base and wall units with granite work surfaces over incorporating one and a half bowl sink unit, fitted Siemens oven and grill, integrated fridge and freezer, uPVC double glazed window to rear, recessed spotlights. Dining/Family Area Bi-fold doors to rear garden, radiator, wall mounted HDMI and television aerial points. Master Bedroom 12&apos;10 x 10&apos;8 3.91m x 3.25m UPVC double glazed window to rear, wall mounted television aerial point and HDMI point. Door to en suite. En suite Fitted shower cubicle, low level wc, wall hung wash hand basin with fitted storage under, heated towel rail, frosted uPVC double glazed window to rear, recessed spotlights. Bedroom Two 11&apos;0 x 10&apos;11 3.35m x 3.33m UPVC double glazed window to front, radiator, wall mounted television aerial point and HDMI point. Bedroom Three 10&apos;8 x 8&apos;6 3.25m x 2.59m UPVC double glazed window to rear, radiator, television aerial point and HDMI point. Bathroom Fitted with a four piece suite comprising panelled bath, separate fitted shower cubicle with drench style shower over, fitted storage cupboard, heated towel rail, wall hung wash hand basin with fitted storage cupboard, three uPVC frosted windows to front, tiled splashbacks. Second Floor Landing Fitted storage cupboard. Loft Room One 19&apos;4 x 13&apos;11 5.89m x 4.24m With radiator. Loft Room Two 10&apos;3 x 6&apos;5 3.12m x 1.96m Housing central heating boiler. Garden To the front of the property the driveway provides off road parking, whilst to the rear there is a lawned garden area with timber fenced boundaries and a paved patio area. 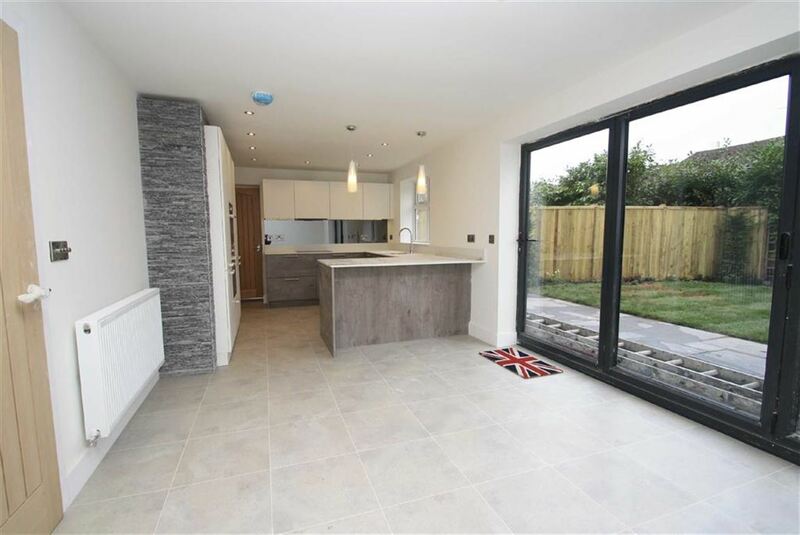 "Princess Road, Wilmslow, SK9 6LD"